A documentary about a socialist street theatre group in Delhi, India. What does it mean to perform socialist agit-prop theatre in India in a globalized era of increasing intolerance and inequality? Natak Jari Hai is a documentary about JANAM (The Peoples Theatre Front), the little theatre group that never stopped performing in the face of dramatic political transformation and personal tragedy. The film explores the motivations and ideals of the JANAM actors and their vision of resistance and change as they perform their Peoples Theatre in diverse parts of India. 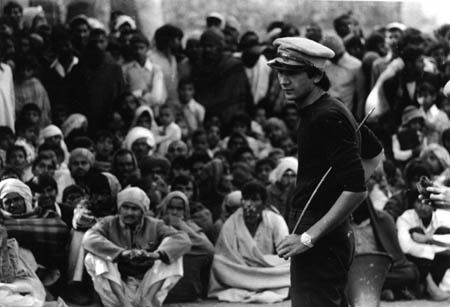 It brings to life the world of socialist theatre through the words of JANAMs members, and through a reflective portrayal of the groups greatest tragedy - the assassination of its convenor Safdar Hashmi in 1989.